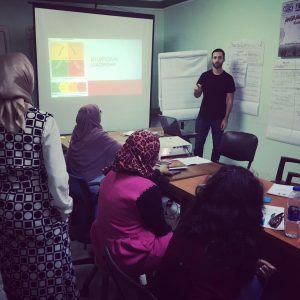 I recently visited Egypt and gave a staff training on leadership development. I spent the first two days trying to differentiate between leadership and management. For some odd reason, putting these two words side-by-side creates an immediate good guy/bad guy dichotomy. After a tenuous day and a half of trying to make distinctions between the two, I finally felt comfortable enough to move on to the next part of the training. With only four days of allotted time for training, and slow/shaky translations (English to Arabic), the barrier to achieving the training objectives became that of time. The Pyramids Of Giza. These things were built to last. After the daily training, I spent my time doing tourist things. 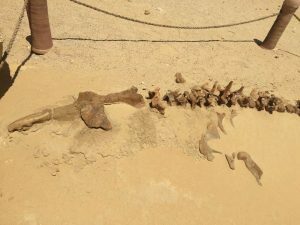 I saw the Great Pyramids Of Giza, visited the Egyptian Museum, went desert off-roading, and even saw whale bones that were several million years old. These whale bones are over 40 million years old. 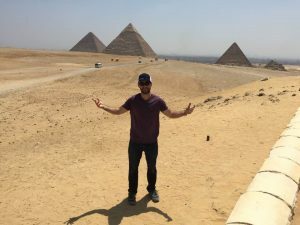 Being in Egypt–the bedrock of ancient civilization–made me think a lot about time as it relates to building a successful organization. I wondered: how can we best utilize time in the organizational development process, and how do you build things that last? Infusing the concept of time into your organizational development process is a good starting point to creating a solid foundation for your company. Here’s how you do it. The vision of an organization is where you want to be as an organization. It is a vision of the future that your organization is working to create. Question to ask: What does the world I’m creating look like? The mission statement is operational. It tells us the why, who, how, and what. It states the problem that the organization wishes to change and what it is doing to achieve it. Unlike the Vision, Mission Statements reflect the present state. Question(s) to ask: What problem are we trying to solve, and what are we doing to solve it? Most people get Vision and Mission Statement confused (See Video Below). While on the plane to Egypt trying to pass the time, I watched a program on human evolution and migration. Neanderthals and Homosapiens ran into each other at some point, but only one group survived. Neanderthals died out and Homosapiens were able to survive. Homosapiens were able to create stories, symbols, and conceptualize the future which led to social cohesion. They even created musical instruments (see video below). Organizations are tribes. The tribes that survive are the ones that foster an environment of trust. Core values and organizational culture encompass the past, the present, and the future. Question(s) to ask: what makes us, us? How can we infuse our shared identity into everything we do? Infusing Vision, Mission, and Core Values/Culture into your organizational development process provides a pretty solid blueprint for building something that lasts. This process invokes long term thinking, and, similar to a good story, provides the necessary context and narrative to why the company exists. It conjures questions of why, who, and what–but, perhaps most importantly–it makes you wonder if any of it will matter when you’re gone.